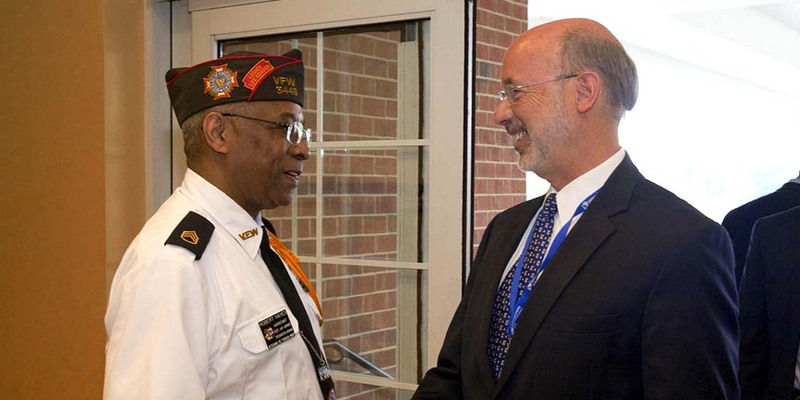 Governor Wolf announced that the 2017-18 Veterans’ Trust Fund (VTF) is accepting grant applications for programs and services benefiting Pennsylvania veterans. 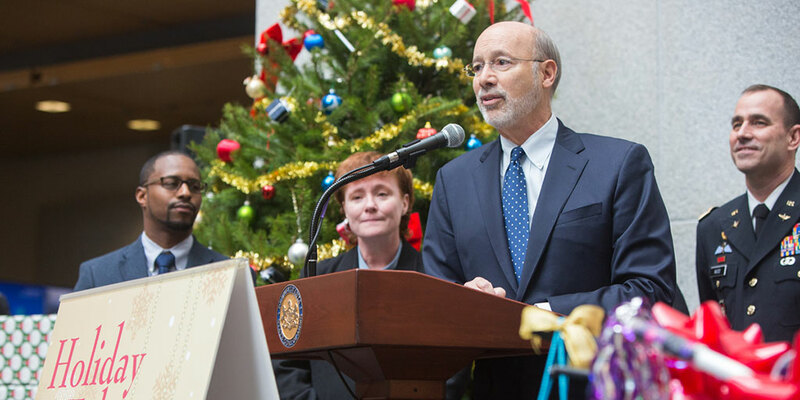 Governor Wolf reminded Pennsylvanians that, in the spirit of the holiday season, this is the perfect time to support programs administered by the Pennsylvania Department of Military and Veterans Affairs. 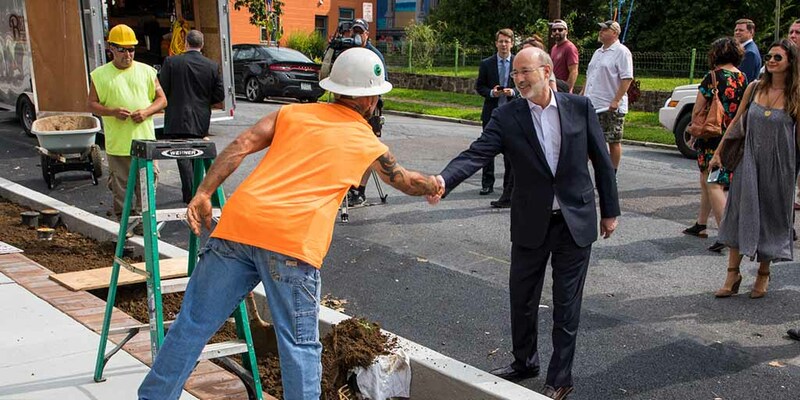 Tomorrow is Veterans Day and Gov Wolf wants every one of the approximately 820,000 veterans across the commonwealth to know that they are truly appreciated. 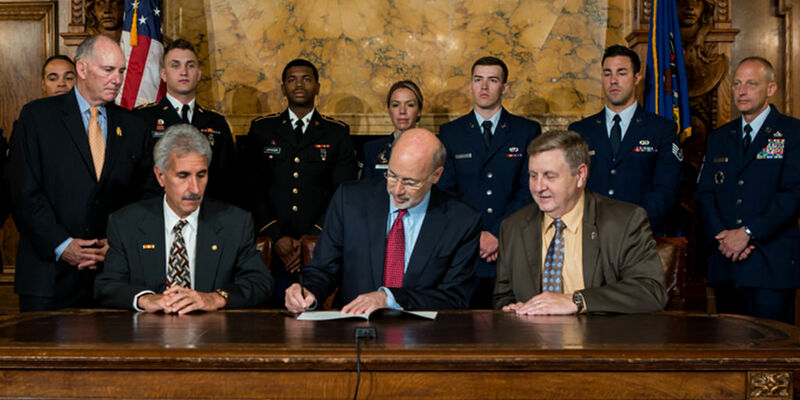 Officials from the Depts of Labor & Industry and Military and Veterans Affairs joined PUC Chairman Brown to highlight the importance of veterans workforce. 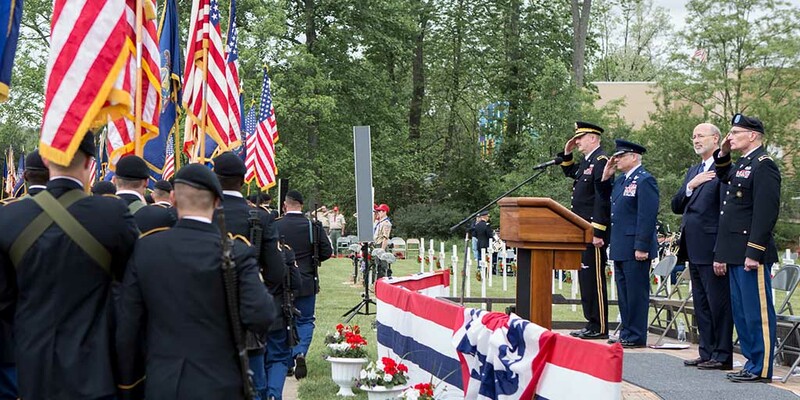 Governor Wolf reminded Pennsylvanians that the stolen valor law, protecting benefits for Pennsylvania service members and veterans, is now in effect, approximately 60 days since it was signed in late June.